Go to our Digitising Dublin Conference page to browse and download presentations from the event. Watch all of our previous webinars on our official YouTube channel now. As Ireland's food scene grows, figures championing the scene have come to the fore. People not only contributing individually, but collaborating to progress Ireland's huge food potential. 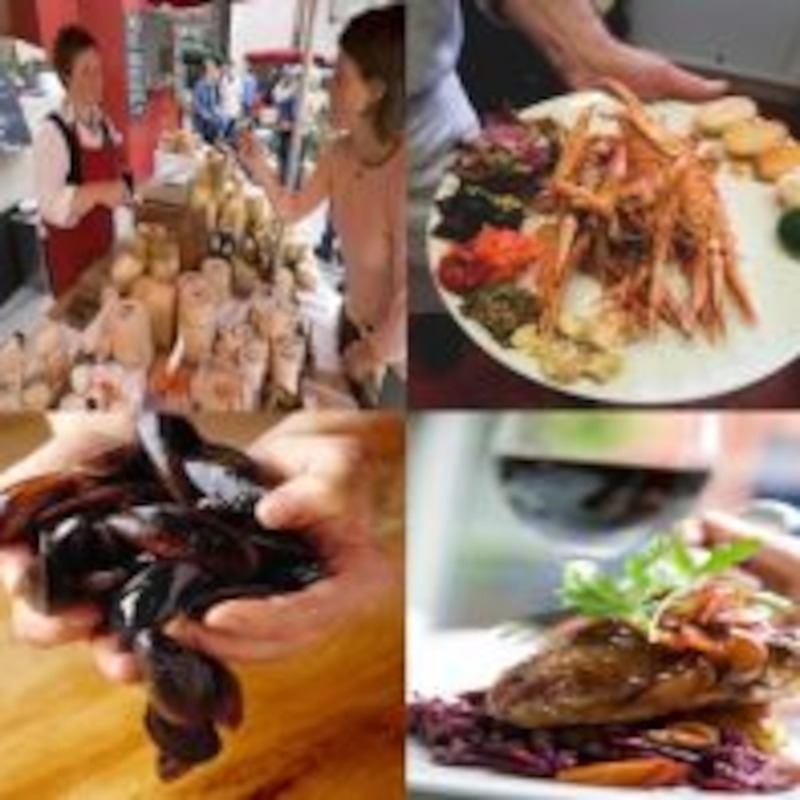 Fáilte Ireland is dedicated to finding the emerging players with local impact, people who champion Irish food and food tourism and are seen as doers, networkers, connectors. One such person is Tom Flavin, Executive Chef of Strand Hotel Limerick Ireland, our guest on this Bite Size Tourism Podcast. This podcast focuses on a particular concept in tourism; providing best practice examples of how to actively sourcing and utilising locally produced foods on the menu. It’s presented by Dr Dean Panter, who has worked at the sharp end of Tourism and Hospitality both in the trade and in a training / education capacity over the last forty years and has been responsible for a number of key initiatives within Fáilte Ireland both nationally and internationally. Dean currently works for Fáilte Ireland in the capacity of National Business Operations Manager, hospitality division and is based in Limerick. In this one-to-one interview, Dr Dean Panter speaks with Tom Flavin, Executive Chef of The Strand Hotel Limerick Ireland, about his particular passion as a chef for working with locally produced foods. Tom shares his experiences of making this concept work. Tom speaks of how best to manage the constraints and of the many business benefits that the concept offers. 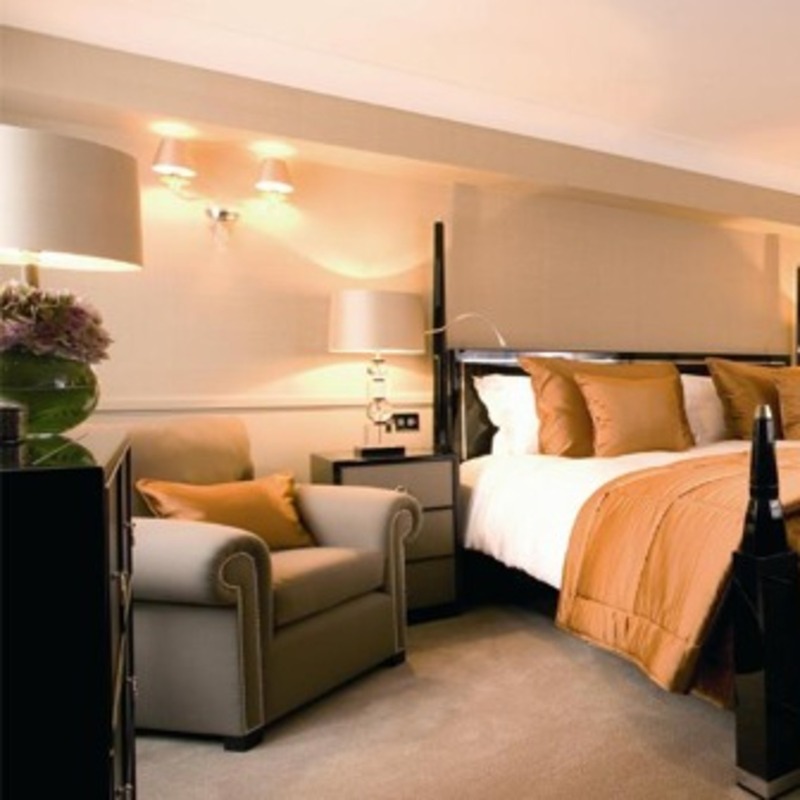 To put it in perspective, the Limerick Strand Hotel is a 184-bedroom hotel which provides up to 1,000 meals per day. This fascinating interview is full of insights and practical examples of how to get started and how to capitalise on this concept and make it work for the business. Tom Flavin has been Executive Chef at the Strand Hotel Limerick since 2007, but he has essentially been a chef almost his entire life. Tom is wholeheartedly committed to buying from local food producers, winning many awards for the Limerick Strand hotel that acknowledge both his culinary skill and his commitment to quality sourcing. He sees local sourcing as something that contributes not only to the food offering of a hotel, but to the local economy and comes back to the hotel in business and local loyalty. Tom is a member of the Limerick Food Strategy group which is developing a Limerick Food Festival and coordinating a number of smaller food events. Our vision for food tourism states: ‘Ireland will be recognised by visitors for memorable food experiences that evoke a sense of place, culture and hospitality.' Find out more about the support Fáilte Ireland provides to the tourism and hospitality industry. In this podcast, Dr Dean Panter of Fáilte Ireland speaks with Sinead Hennessy of Fáilte Ireland who introduces us to the concept of food tourism, types of food experiences available and the challenges in this growing area. This podcast is presented by Dr. Dean Panter, who takes the opportunity to interview Sinead Hennessy from Fáilte Ireland. Dean has worked at the sharp end of Tourism and Hospitality both in the trade and in a training / education capacity over the last forty years and has been responsible for a number of key initiatives within Fáilte Ireland both nationally and internationally. Dean currently works for Fáilte Ireland in the capacity of National Business Operations Manager, hospitality division and is based in Limerick. This podcast focuses on food tourism in Ireland. 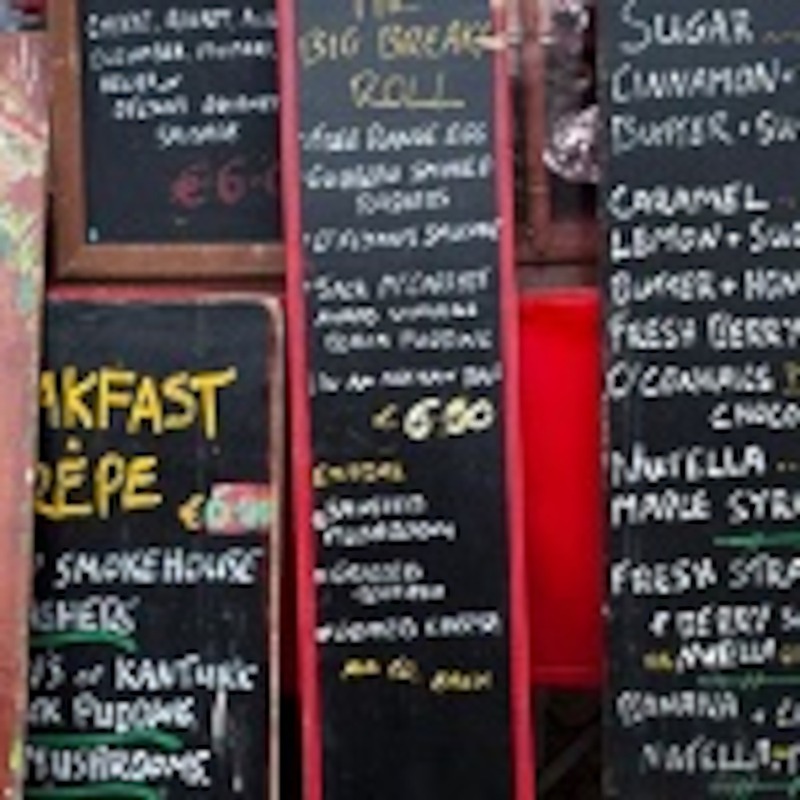 Research has shown that food tourism is a fast growing market, both at home and internationally, and one in which Ireland is well placed to capitalise on. The current levels of activity relating to food, and the interest around local and traditional food producers and traditions, shows that there is much to be proud of. In Ireland, the food experiences that tourism businesses offer allow us to share the story of our history, culture and people though our three brand experiences: the Wild Atlantic Way, Ireland's Ancient East and Dublin: ‘A breath of fresh air’. Sinead Hennessy’s role as Fáilte Ireland Food Tourism Officer includes responsibility for the delivery of the strategic plan for food tourism nationally. Prior to joining the Food Tourism team she worked in International Leisure Sales, a role in which she continued to work closely with industry. Sinead studied Hospitality Management at CIT and Business Management at University of Limerick. She is committed to working closely with tourism industry to differentiate Ireland as a food tourism destination. She also wants to enhance the 'food in tourism’ experience of every visitor and believes Ireland can deliver an authentic food experience, in a natural and honest way. Fáilte Ireland has a statutory role in devising and periodically revising the minimum standards for the registration of hotels in accordance with the provisions of the Tourist Traffic Acts. These regulations were last revised by Fáilte Ireland in 2003. These minimum standards have now been revised. The result of input from relevant interest groups and the findings of desk research into international practice have fed into these new regulations. These revisions to the regulations will permit a greater degree of choice in offering to operators in the hotel product, given their specific markets, location, and pricing, thus helping them to be more competitive in a European context. This podcast focuses on Hotel Regulation 2016. In this one–to-one short interview, Dr Dean Panter talks with one of his colleagues, Linda Campbell of the Hospitality Division within Fáilte Ireland, about the revised Hotel Regulations 2016. This discussion covers a whistle stop tour highlighting key elements and points of information about the revisions within the 2016 Hotel Regulations. For example: the revised guest room size is now 14 Sq. meters, regulations relating to the provision and service to guests of food and drink has also been revised; all of these revisions recognise the changing behaviour of the consumer and will further assist the drive for innovation and new provision. For further information visit www.failteireland.ie. Linda Campbell has 19 years’ experience in the tourism industry in Ireland and has worked in a variety of roles. She joined Fáilte Ireland in 2005 as Product Development Officer to participate in and contribute to the development of Fáilte Ireland’s Tourism Product Development Strategy. Linda’s current role as Standards Development Officer in the Quality & Standards Division in Fáilte Ireland involves assisting in the operation of the National Tourism Quality Framework in relation to the listing, registration and grading of Irish tourist accommodation and tourist services. This podcast is presented by Dr Dean Panter; Dean has worked at the sharp end of Tourism and Hospitality both in the trade and in a training / education capacity over the last forty years and has been responsible for a number of key initiatives within Failte Ireland both nationally and internationally. Dean currently works for Fáilte Ireland in the capacity of National Business Operations Manager, Hospitality Division and is based in Limerick. Fáilte Ireland launched the Welcome Standard in 2015 to recognise the many atypical and innovative accommodation businesses committed to a high quality experience for their guests, that don't fit within the traditional Fáilte Ireland quality framework. 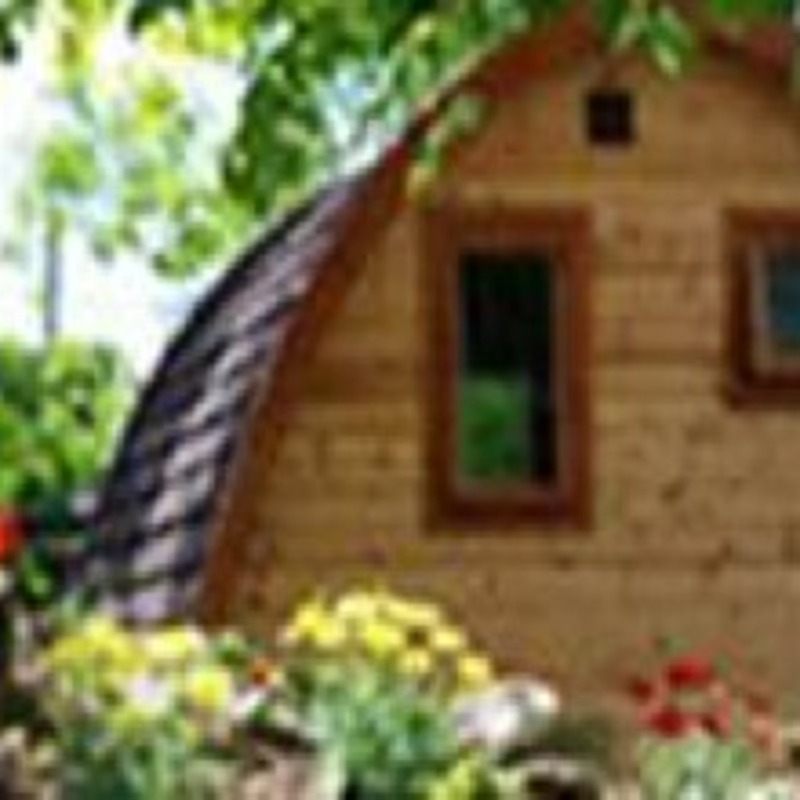 The new Standard recognises changes in both consumer tastes and the range of accommodation now available in Ireland. The Welcome Standard is designed to provide reassurance to tourists planning to come here through a simple and recognisable symbol, guaranteeing quality, professionalism, friendliness and comfort. This podcast focuses on the Welcome Standard launched in 2015. In a one–to-one short interview, Dr Dean Panter takes the opportunity to talk with one of his colleagues, Anita Rawat Geoghegan of the Hospitality Division within Fáilte Ireland, about the Welcome Standard, covering a whistle stop tour of a number of key elements and points of information for the potential provider. With more than 15 years’ experience in the food and hospitality industry in both Ireland and the UK, Anita Rawat Geoghegan joined Fáilte Ireland in 2008 as Standards Development Officer to participate in and contribute to the development of a best practice quality framework, which addresses defined issues and is reflective of international benchmarks and trends. Anita assists in operating the National Tourism Quality Framework in relation to the listing, registration and grading of Irish tourist accommodation and tourist services. Anita was involved in the development of the new tourism accommodation standard, piloting of these standards with the Industry, consumer research, branding, signage and then successful launch of Fáilte Ireland’s Welcome Standard in 2015. Anita is actively involved in growing Fáilte Ireland’s Welcome Standard tourist accommodation listings. This podcast is presented by Dr Dean Panter; Dean has worked at the sharp end of Tourism and Hospitality both in the trade and in a training / education capacity over the last forty years and has been responsible for a number of key initiatives within Fáilte Ireland both nationally and internationally. Dean currently works for Failte Ireland in the capacity of National Business Operations Manager, Hospitality Division and is based in Limerick. Wellness is more than a trend; “wellness” in hotels is here to stay, according to Tea Ros, MD of Strategic Hotel Consulting. 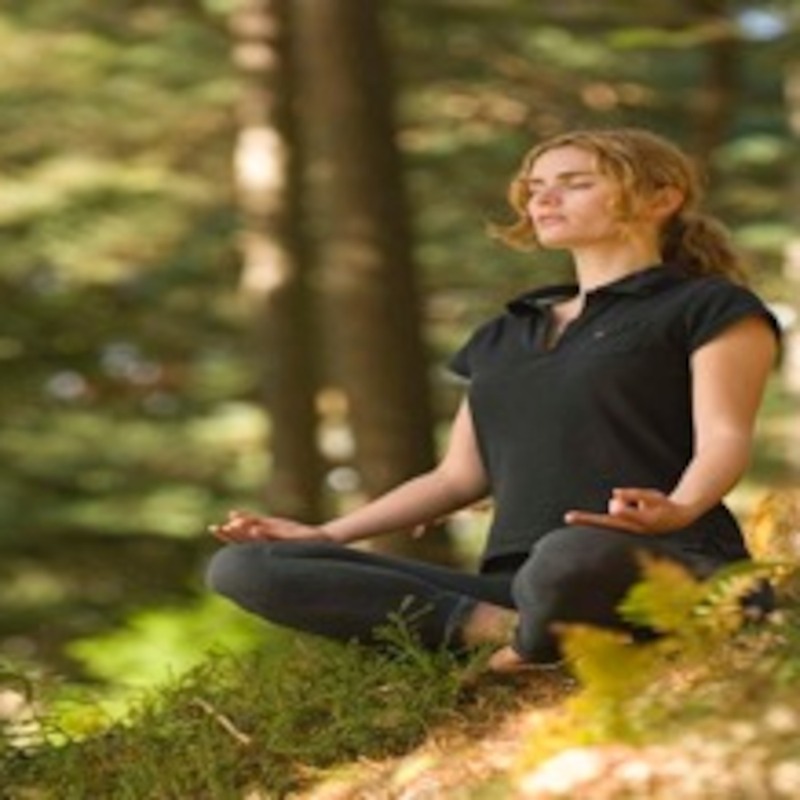 As tourism businesses seek new ways of maintaining their competitive edge and remaining relevant in this ever challenging and changing global environment, once in a while comes a new opportunity to grasp and capitalise on a concept – “wellness” is one such opportunity. Can you afford not to listen to this seven minute mini-podcast? This podcast focuses on a particular and relatively new trend / concept in tourism – "wellness" in hotels. In this one-to-one interview, Dr Dean Panter of Fáilte Ireland speaks with Tea Ros, MD of Strategic Hotel Consulting (based in Switzerland), about this new trend and the ways in which tourism businesses have diversified and developed their product offering and service on a global scale in order to capitalise on the many benefits that the concept of wellness has to offer. To put this in perspective, according to Tea, the wellness concept is a $440 billion market which is 14% of the World Tourism Market and is growing at a rate of 9% per annum; 50% faster than tourism in general. This is a fascinating interview full of insights and practical examples from around the world of how tourism businesses are capitalising on the wellness concept and making it work for their business. Tea Ros is the Managing Director of Strategic Hotel Consulting, an international consulting firm specialising in hotel investments, based in Switzerland on Lake Zurich. Tea has extensive international experience in consulting, having carried out a variety of assignments while working with SHC and in her previous roles with Jones Lang LaSalle in Asia Pacific and TRI Hospitality consulting in the Middle East. Her key markets of expertise are Europe, Middle East and Asia. In addition to consulting expertise, Tea has a comprehensive operational background, having worked the Four Seasons, Starwood and Rosewood hotel groups in positions covering F&B, rooms division, revenue and yield management, sales and marketing and Six Sigma process improvement. Tea is originally from Switzerland, but has a wide-ranging international background. If she is not working, you will find her outdoors kitesurfing, skiing or running in the mountains. This podcast is presented by Dr. Dean Panter; Dean has worked at the sharp end of tourism and hospitality both in the trade and in a training / education capacity over the last forty years and has been responsible for a number of key initiatives within Fáilte Ireland, both nationally and internationally. Dean currently works for Fáilte Ireland in the capacity of National Business Operations Manager, Hospitality Division and is based in Limerick. Fitness is more than a trend. It's a new concept that has gained momentum over the last number of years and it's here to stay according to Tea Ros, MD of Strategic Hotel Consulting. As tourism businesses seek new ways of maintaining their competitive edge and remaining relevant in an ever changing global environment, once in a while comes a new opportunity to capitalise on – the concept of fitness is one such opportunity. Can you afford not to listen to this 7-minute podcast? This podcast follows on nicely from our other mini-podcast (Wellness in Hotels) during which our guest Tea Ros provided many useful and practical insights into this relatively new concept. 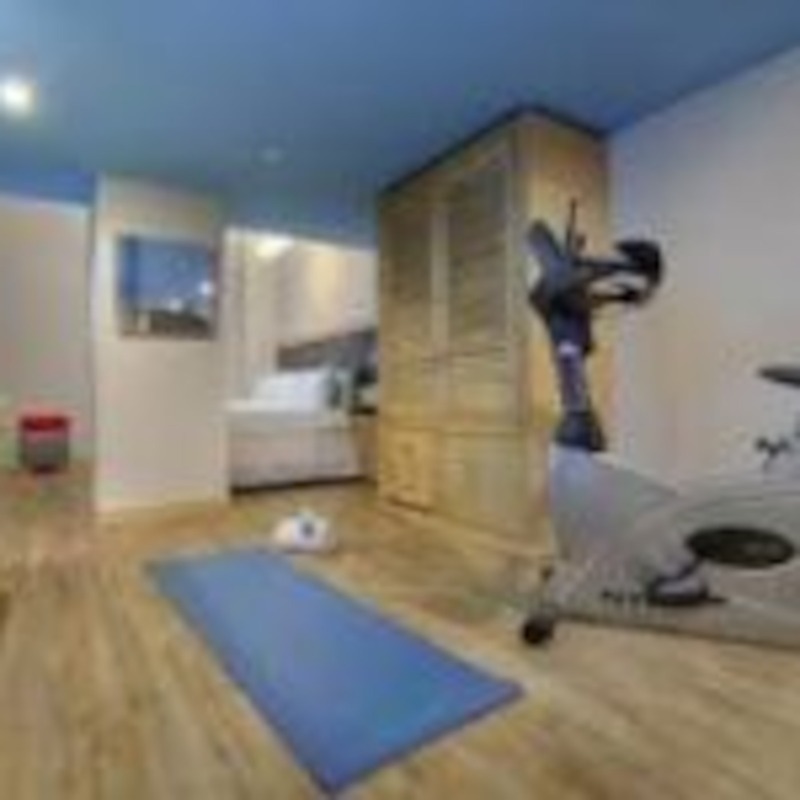 This second mini-podcast focuses on a closely related topic, a particular and relatively new trend / concept in tourism known as fitness in hotels. In this one-to-one interview, Dr. Dean Panter of Fáilte Ireland once again speaks with Tea Ros MD of Strategic Hotel Consulting (based in Switzerland) about this new trend and the ways in which tourism businesses have diversified and developed their product offering and service on a global scale. Whilst providing an introduction to the concept of fitness in hotels, Tea also provides insights into how the need for wellbeing and healthy lifestyles for people on the move has driven the development of this concept and how to use both the property and the local neighbourhood to capitalise on this. This is a fascinating interview full of insights and practical examples from around the world of how tourism businesses are capitalising on the fitness concept and making it work for their business. Why it’s so important to excel at customer service and go the extra mile in Ireland? How to SHINE at creating a natural warm and authentic Irish experience. The importance of the emotional connection for the customer and how this will bring benefits to the business. This podcast is presented by Dr. Dean Panter who takes the opportunity to interview Edward Meade from Failte Ireland about the importance of providing quality service experiences through the provision of customer service. Dean has worked at the sharp end of Tourism and Hospitality both in the trade and in a training / education capacity over the last forty years and has been responsible for a number of key initiatives within Failte Ireland (formally CERT) both nationally and internationally. Dean currently works for Failte Ireland in the capacity of National Business Operations Manager; hospitality division and is based in Limerick. This podcast focusses on why is it so important to excel at customer service and go the extra mile in Ireland and the importance of creating a warm natural and authentic Irish experience. The podcast also talks about the importance of focusing on both the external and internal customer and how this will bring many benefits to the business entity. Customers don’t just buy products they buy experiences, Edward says “It’s all about the Experience, it’s not only what’s offered that’s important, it’s about the way in which it’s offered”. Edward talks about his 5 E’s and the emotional connection required in achieving service excellence and creating a memorable experience. Shining at customer service and exceeding customer expectations. SHINE is a way of being! “It’s not good enough just to satisfy your customers you must aim to wow them”. Edward says “staff need to be proactive in terms of identifying customers’ needs as opposed to just being reactive to customer requests”. Personalise the experience and make it memorable. Edward Meade has over 38 years of experience in the Tourism and Hospitality industry. He has been working with Fáilte Ireland (formally CERT) for the last 27 years in an education and training capacity. Initially Edward worked as a food and beverage service instructor, but in his current role as a Business Development Advisor in Hospitality & Standards he specialises in developing and delivering business supports to industry. These supports focus predominantly on developing and implementing standards of performance, achieving service excellence, enhancing management and supervisory skills and increasing sales through service experiences. Although Edward’s first love is food and beverage, he has extensive experience in all aspects of the industry both nationally and internationally. In this interview Caroline will be talking about the five major menu management issues; comprising of menu planning, menu pricing, menu designing, menu operating and menu development. In the discussion Caroline refers to Fáilte Ireland's food tourism toolkit. Caroline identifies five key factors, which when applied correctly make a collective and positive contribution to the business and its customers. 5. Menu Development - Is your menu working for you the way you want it to? Caroline Byrne joined the Education and Training section of Fáilte Ireland in 2003 and has worked in this area for ten years, which included the teaching of the National Apprenticeship Culinary Programme. Caroline currently works in Hospitality & Standards as a Business Development Advisor with responsibility for the development and delivery of hospitality business operations workshops. She has over twenty years of experience in hospitality and tourism and holds a Masters in Hospitality and Tourism Management from The University of Birmingham. This podcast focusses on the importance of the visitor experience in relation to the quality, authenticity and provenance of food offerings around the country. It provides insights into the benefits of using local produce for the business, customer and locality. Ireland has a natural and honest approach when it comes to food and an easy-going warm style that’s both rooted in tradition and very 21st century. 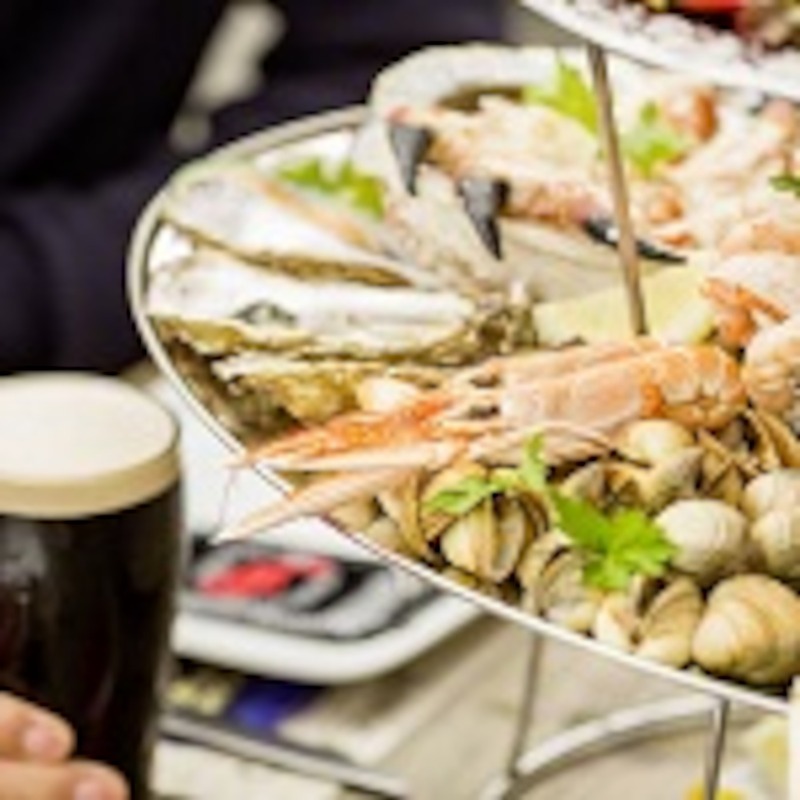 For that reason it is important to ensure that all food experiences promoted to visitors offer a unique and distinctive Irish flavour and one that is reflective of our image as an unspoilt and hospitable destination. This podcast identifies the benefits of using locally produced foods; in particular, it focuses on the benefits for the business, the consumer and for the locality. It then draws out information on availability around the country of locally produced foods, cost issues and where to find out more about locally produced foods in your area. It concludes by looking at how best to introduce locally produced foods on your menu and the role that front facing staff can play in the promotion of these products. 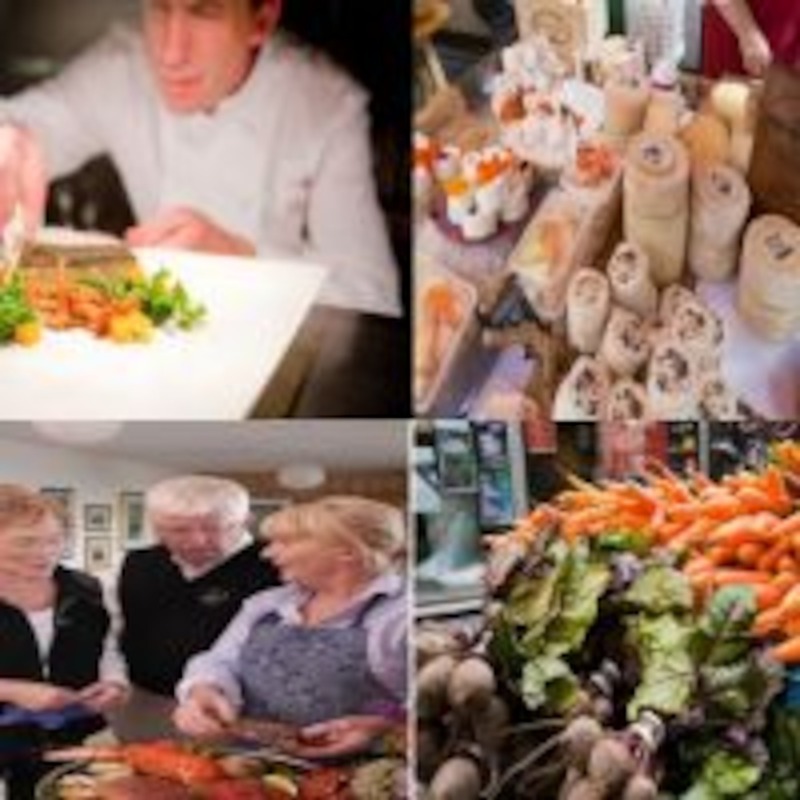 Kevin Quinn has worked with Failte Ireland for the last 26 years, initially in an Education and Training capacity, teaching FETAC, level 5 and 6 Professional Cookery programmes for 12 years and level 4 Competency Based Programmes for 10 years. He presently works as a Business Development Advisor, Hospitality and Standards section, with responsibility for the development and delivery of training programmes around the country. Prior to that, Kevin worked as an executive head chef in the hospitality industry for 14 years. Kevin has a BA in Culinary Arts and a Master’s Degree in Adult Education.